Tired of pulling the same red and gold baubels out of their dusty box and sitting for hours trying to untangle the same fairy lights year after year? Try something different this year and create the most amazing christmas tree your family has ever seen with some of these super unusual and quirky decoration ideas! 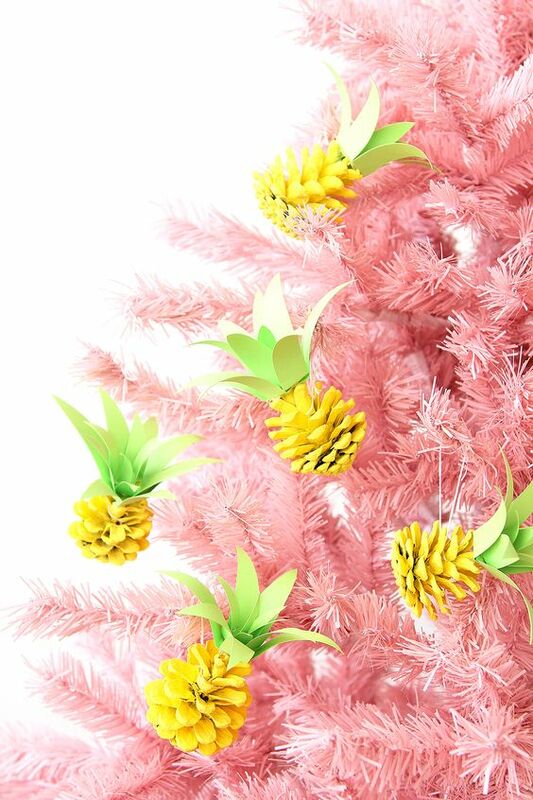 Artificial flowers create unusual, eye-catching tree decorations. 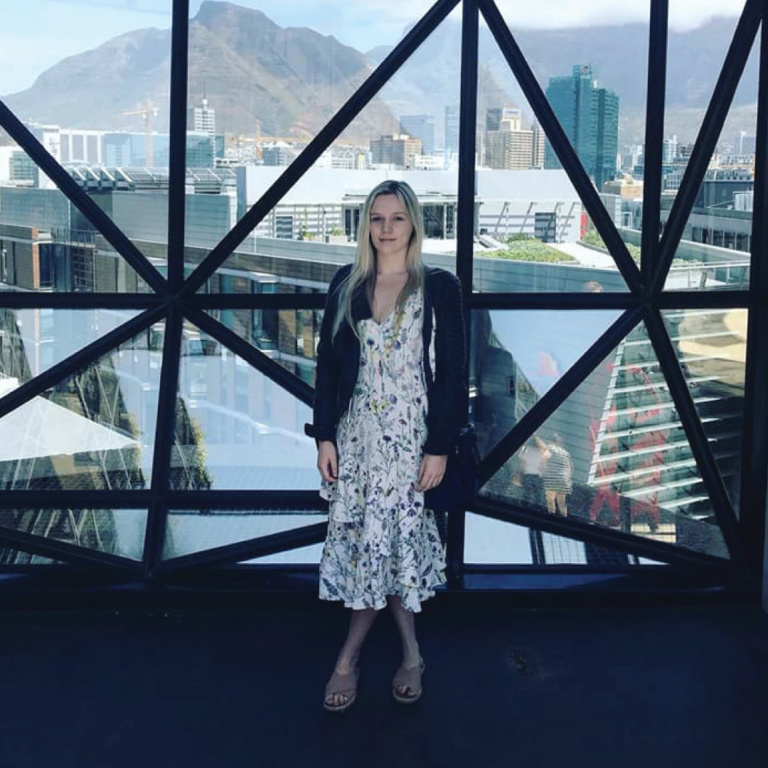 Flowers definitely aren’t the first thing that spring to mind when it come to christmas trees, but a floral christmas tree is a great way to go for a summery South African Christmas! 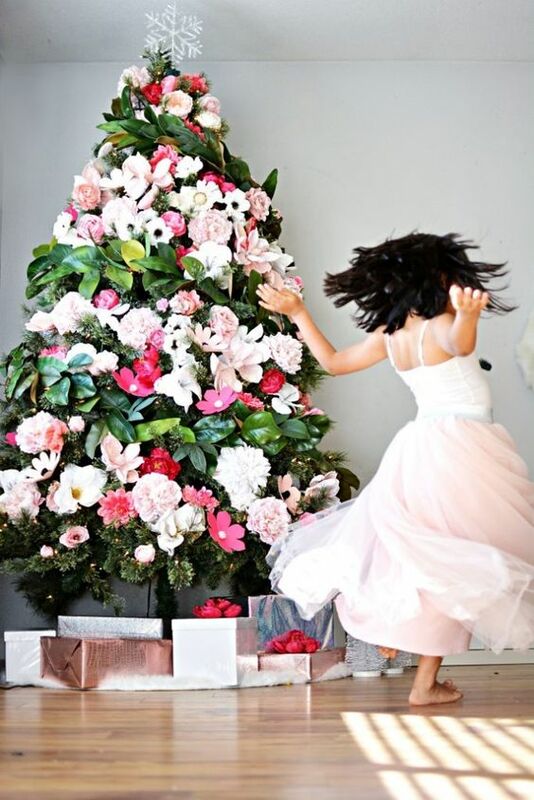 Head to the artificial flower aisle and grab all sorts of flowery goods to adorn your tree with – it’ll be sure to make a powerful fashion statement in your home! 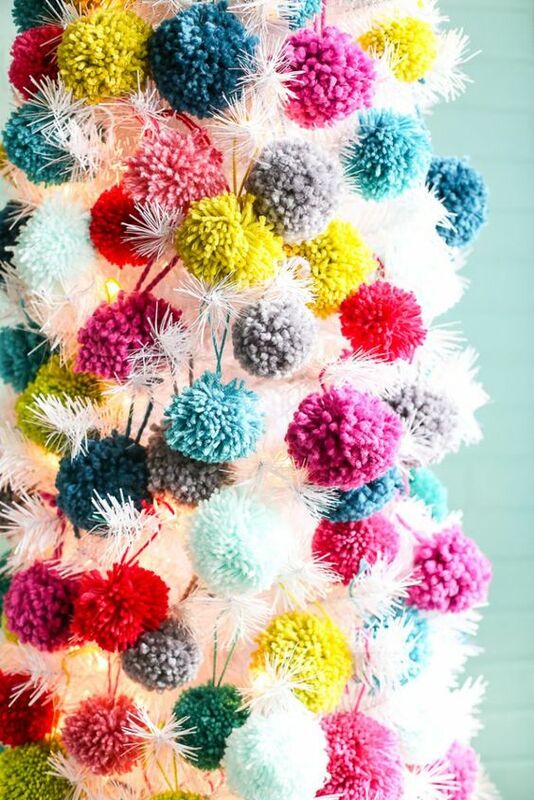 Pom poms are surpringly easy for the kids to make and create fun and exciting tree decorations! Put the kids to work creating some fun and colourful pom poms. They’re surprisingly easy to create and will make your christmas tree come alive with vibrant, quirky colours! Get down to DIY and spray paint some pine cones yellow to create some fun and fruity tree decorations! Fruit is so in fashion! Pineapples and strawberries definitely make unusual tree baubels, but are a fun option for a christmas spent by the pool – plus the kids will love it! Why not just use real pineapples? They’re a super trendy and fun alternative! The tropical festive trend is all the rage this christmas. 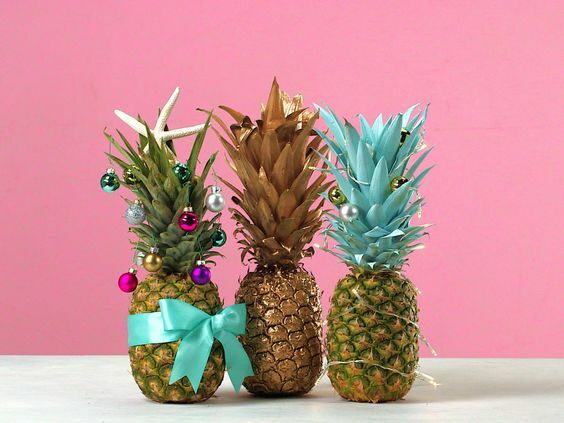 Go a super quirky route and give each child a pineapple to decorate as their very own tropical christmas tree – they’ll look amazing as your table centrepieces too! Have the kids run down to the beach and collect some seashells to create a fun, nautical christmas theme! If you’re heading to the seaside for the holidays why not opt for a nautical themed tree? 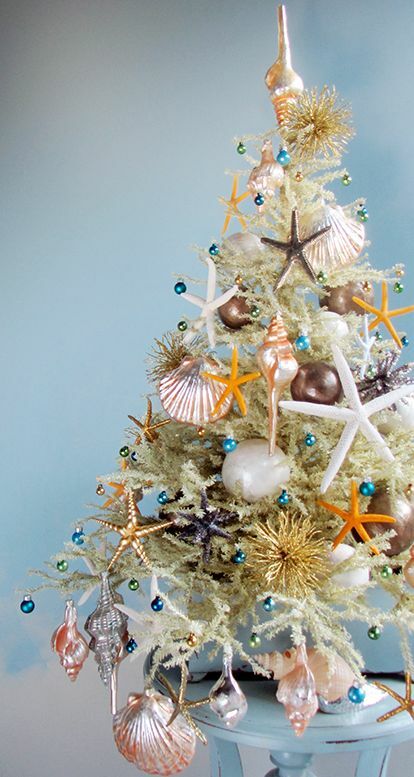 Have the kids run down to the beach to collect some seashells and spend the day creating your own beach-inspired tree! Fun for the whole family! Bake some fun and funky cookies with the kids – they make delicious tree decorations! 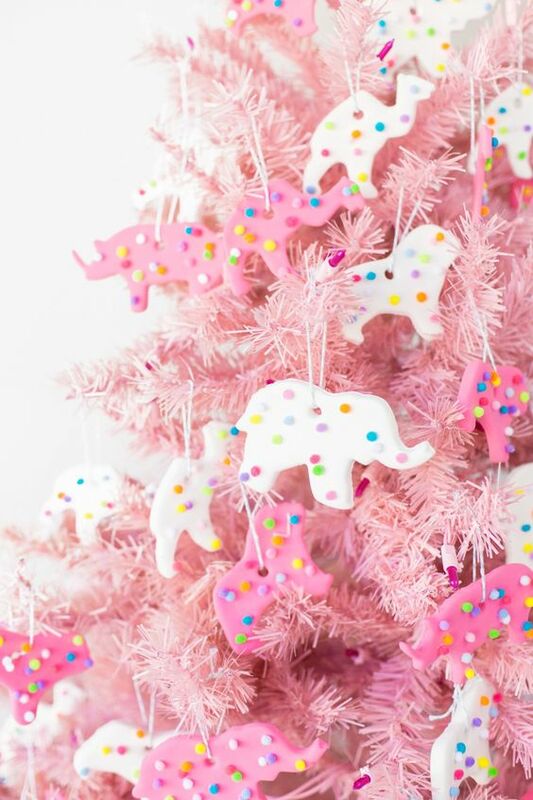 Spend the day with the kids baking some funky cookies adorned with sprinkles and 100’s and 1000’s and then ta-dah, just hang them on the tree! This is something that you definitely want to do one or two days before and then eat them all on christmas morning while opening gifts underneath the tree! What will you and the kids be doing with your christmas tree this year? If you’re still undecided on gifts for all of the kids, we’ve got you sorted! Have a look at our Kids Gift Guide 2017 for some amazing gift ideas.